The US midterm elections could be a critical event. Especially should the result deviate from consensus. 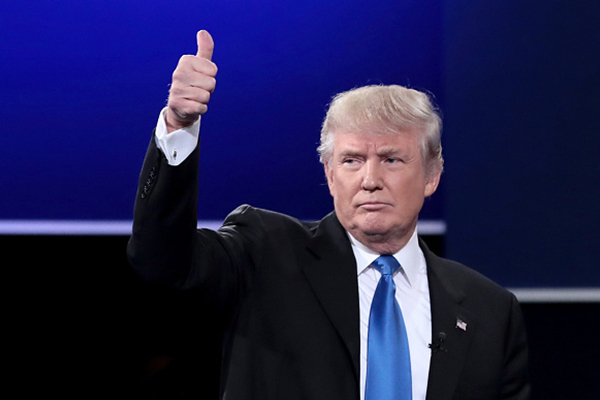 Tomorrow election results will be viewed as the first major electoral test of President Donald Trump's policy including trade policies and tax relief. While the race for the house has remained stable polls indicate that the senate has shifted back toward republicans maintaining control. Base scenario - Democrats gaining a majority in the House and Republicans holding the Senate. Nate Silvers FiveThirtyEight’s general model gives the Republicans an 82% probability of retaining a majority in the Senate, up from 68% on Labor Day. Day Poll closing times differ by state, fluctuating from 23.00-06.00 cet. Yet, 65 out of the 111 House seats considered competitive are in states were poll closing times are 01.00 cet. Which means that given the heavy US converge (experts, forecasting, modeling). Therefore, we should have a solid understanding of incoming results are consistent with polling by approximately 02.00 cet. That said there are a few competitive races that will be later (California with 11 competitive seat close at 0.400 cet) so if the results are tight market will have to wait to react. According to experts Virginia, Florida, North Carolina and Ohio will be critical for the House in the pre-01.00 cet results while Texas, Pennsylvania, New Jersey, Illinois and Michigan will be critical for the 01.00 group. Should the results go around the current polls the market reaction will be limited with slight improvements in USD especially against CNY. In addition, the stability of a republican control or a split should help equity prices. The highest generating of vol will be should democrats gain control of both House and Senate. We see this would be both negative of USD and US assets. CHF has been stable ahead of US events that could drive demand in the safe haven currency against risk if the uncertian result sparking volatility in wider financial markets. A strong republican win is likely to see an continuation of Iran Sactions (driving oil prices higher) and further weakness in stocks on 2019 event risk.